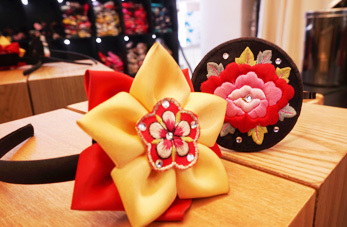 These days, one item is taking Korea by storm, creating a new culture trend; it might surprise you to discover that this ‘new’ item has actually been around for hundreds of years. It is none other than Korea’s traditional clothing, hanbok. Originally only worn on special occasions such as holidays and weddings, photos of young people posing in hanbok throughout Korea have flooded social media, and tourists are now jumping on this new trend as well! Ms. Kim recommends tourists who are visiting Korea to try hanbok for themselves, saying “hanbok is more beautiful when worn than just looked at [on a hanger].” Use our helpful guide to follow in the footsteps of Seung-hee, renting a hanbok and touring Seoul with ease while making wonderful memories of your time in Korea. STEP 1. Select a Hanbok from a Hanbok Rental Shop! Most hanbok rental shops are located near major tourist attractions, such as Insa-dong, Gyeongbokgung Palace, Bukchon Hanok Village and the surrounding areas. Each rental shop has individual rules and prices, but all shops require identification (passport accepted) and a deposit in cash so be sure to have these two items before you set out. The period of rental ranges from four hours to 24 hours, and accessories like headbands and norigae (tassel attached to the jacket or skirt strings) can also be rented for an extra fee. 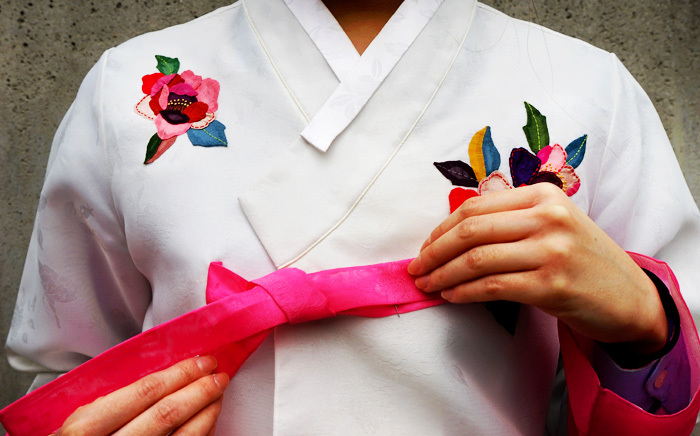 TIP) Useful information when selecting your hanbok! - Pair a white jacket with a vividly colored skirt: Of course it’s fine to select your favorite color or a design you like, but for the best photos we recommend a light-colored jacket, such as white or pastel yellow, paired with a brightly colored skirt. In photos, the vibrant skirt will stand out, creating both a more beautiful picture and making one appear slimmer. - Accessorize your hair: For the best photos, we recommend pulling long hair back in a braid, and wearing a headband for girls with shorter hair styles. Longer hair braided and pulled over the shoulder creates a more feminine appearance. Girls with shorter hair can create a similar effect by wearing a headband. STEP 2. Admission to Seoul’s Palaces is FREE when wearing hanbok! The best place to take photos while wearing hanbok is definitely inside traditional palaces! Even better, admission to Gyeongbokgung, Changgyeonggung, Changdeokgung and Deoksugung Palaces is free to all visitors wearing hanbok. Visiting all of the palaces would make for a very tight schedule, so we recommend selecting one or two of the palaces that fit well into your itinerary. Use the palace structure for a more unique souvenir photo! When there are only a few people, each person can have their own pillar. Larger groups can spread out between the pillars on both sides of the path. When wearing a bright red or pink colored skirt, take photos with blues and greens in the background. The two contrasting colors will give your photo that extra pop! Be sure to use the traditional buildings in your composition. Expressions and appearances will come out more natural when the background matches the focal point of the beautiful hanbok. * Admission is free when wearing hanbok, but visitors must get a ticket before entering. Please note free admission generally does not apply during night hours or other special events, but will be given for night hours April 30 - June 2, 2016 and during the Royal Cultural Festival (April 29 - May 8, 2016). * Admission is free when wearing hanbok, but visitors must get a ticket before entering. Please note free admission does not apply for huwon tours, the moonlight tour or other special events. * Admission is free when wearing hanbok, but visitors must get a ticket before entering. STEP 3. Take photos at Bukchon Hanok Village! After exploring the palace, head to the surrounding neighborhood of Bukchon Hanok Village, Seoul’s representative traditional village. Here, one can experience the charm and lifestyle of the Joseon Dynasty. Relatives of the royal family lived in this neighborhood, as is evidenced by the beautiful hanoks. While exploring the many alleys that make up Bukchon Hanok Village, there are eight sites that must not be missed. These attractions present a strong feeling of the village and are great locations to take photos while wearing hanbok for that extra bit of culture. STEP 4. Sightseeing in Insa-dong! Insa-dong is one of Korea’s more popular traditional cultural streets, visited by hundreds of tourists every day. Korea’s traditional clothing fits right in with the art galleries, craft shops, traditional furniture stores and more that line the streets of Insa-dong. Enjoy taking photos and exploring Korea’s traditional culture. 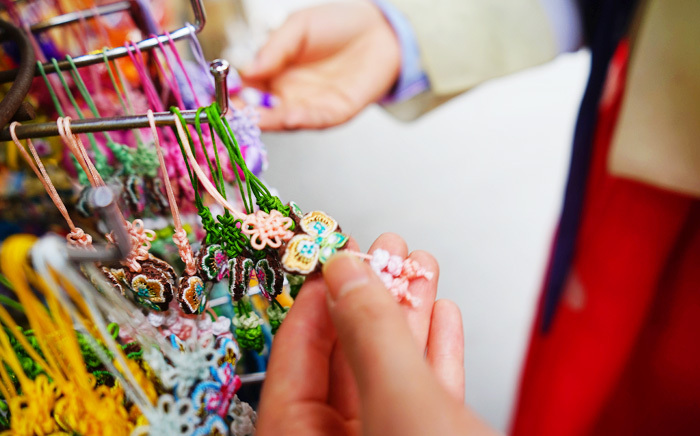 Insa-dong is also a great place to purchase a craft or piece of artwork as a souvenir. If you come to Insa-dong, you can’t leave without first stopping at Ssamziegil! This unique building is connected from an underground level all the way up four floors through a single, wrap-around street. You can take some interesting photos with hanbok before this outstanding scene. STEP 5. Take part in a tea ceremony at Namsangol Hanok Village! 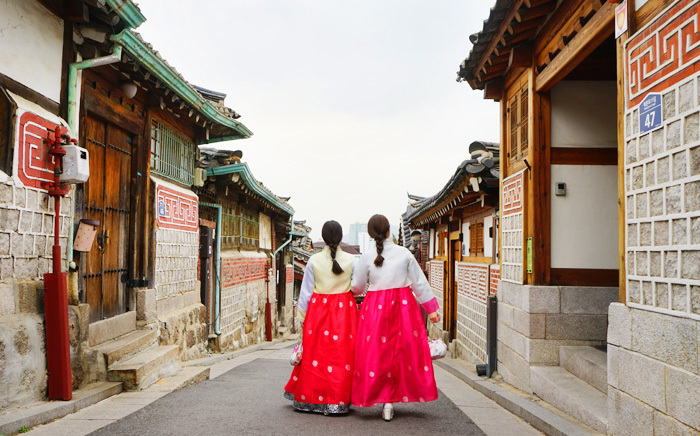 The next place you should visit after renting a hanbok is Namsangol Hanok Village. The village has reproduced five traditional houses of different social classes that were originally located in various locations throughout the capital. Photos taken here in hanbok will look like snapshots of daily life around the house, recreated hundreds of years later. Of the five hanoks here, a must-visit is the Yoon household. As of March 2016, the house is now operating a tea ceremony program, called Yoon’s Tearoom. 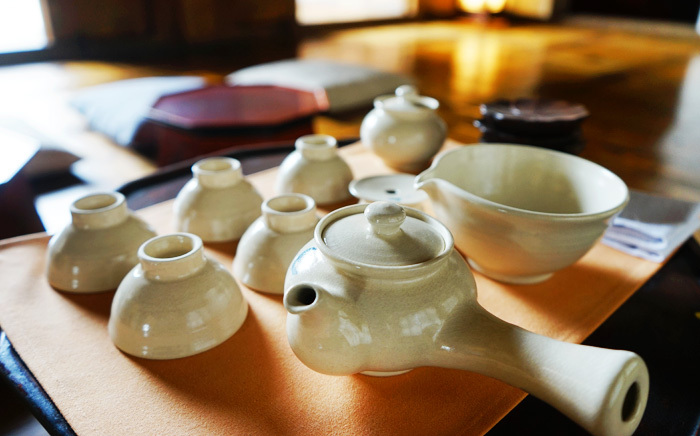 This hanok was originally only available for viewing from the outside, but with the installment of this new experience, visitors have the opportunity to learn about Korea’s tea culture with the fresh scent of tea filling the interior of the hanok, creating a cozy ambience. 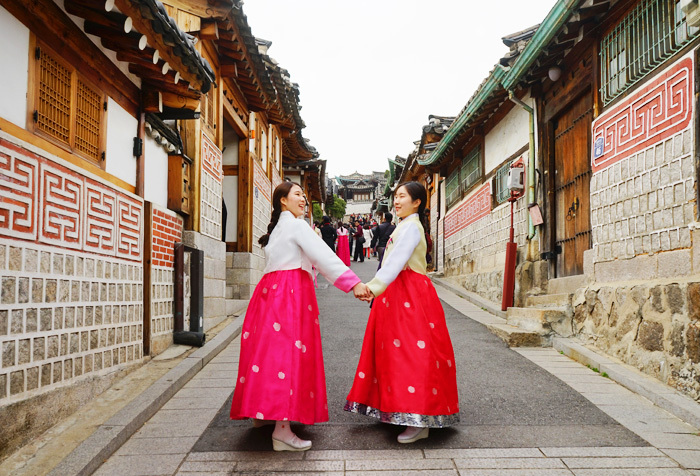 VOX) International Tourists Lose Themselves into the Charm of Hanbok! It’s time to hear from the tourists who have gone on a tour of Seoul wearing hanbok! Read on to learn their reasons for renting hanbok and how they felt about the experience. Wang Pei Pei and Cai Ai Rong, two 30-year-old tourists from Taiwan, were visiting Korea for fourteen days. The two stated that they were very interested in hanbok and were curious to see the types of hanbok that were available for rental. 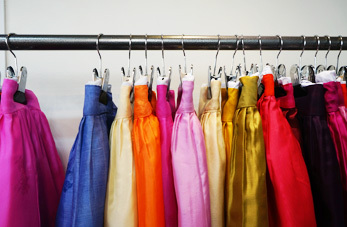 Of course, the dresses they picked were selected for their beautiful colors and variety of designs! Pei Pei was extremely satisfied with her hanbok, saying “when I took photos wearing hanbok, my face came out prettier.” Their daily itinerary wearing hanbok started off by participating in the tea ceremony at Namsangol Hanok Village and ended with watching the Changing of the Guards ceremony in front of Gyeongbokgung Palace. We met Ma Yong Shi and her friend at Bukchon Hanok Village’s Scenic Attraction 5. The two came from Hong Kong so of course they themselves were tourists, but they experienced a lot of attention from other tourists thanks to their hanbok costumes; other tourists were asking them to take pictures together! Choosing to rent hanbok for their bright colors, Ma Yong Shi stated “I made a lot of great memories of my trip to Korea with my friend through the hanbok experience. I’m going to remember this trip for a long time.” We think it’s safe to say that she had a great time! * This column was last updated in March 2016, and therefore information may differ from what is presented here. We advise you to check from the official websites before visiting.